Salted Fish Pork Belly (MYR12.90) – Sliced thinly and stir fried with salted fish and dried chillies, this dish is usually served in a claypot in most restaurants, but at O Café, the traditional way of plating the dish together with many others brought back memories of grandma’s cooking. 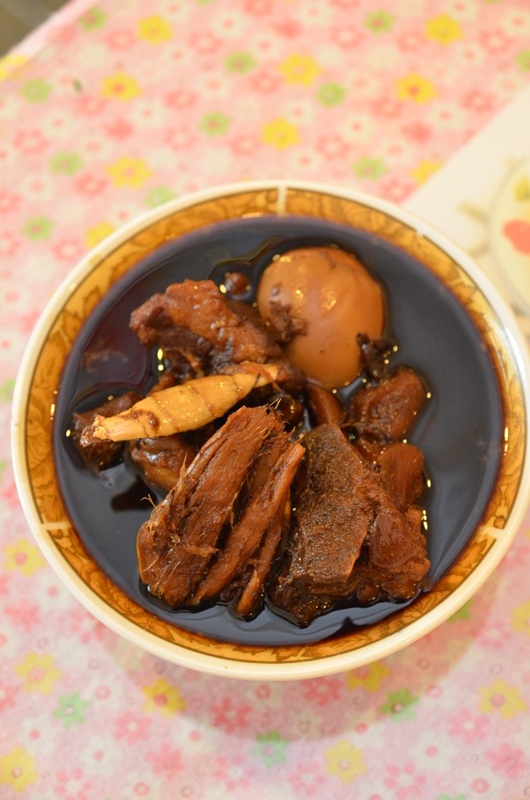 Sadly there are not many places in Ipoh where you can find traditional Hakka delights such as abacus seeds, Hakka ‘zhar yoke’ (braised pre-fried pork belly with ‘fu yee’ or fermented beancurd paste and wood ear fungus), or ‘kau yoke’ – braised pork with either ‘mui choy’ or preserved mustard greens, or at other times served intermittent with slices of soft yam. 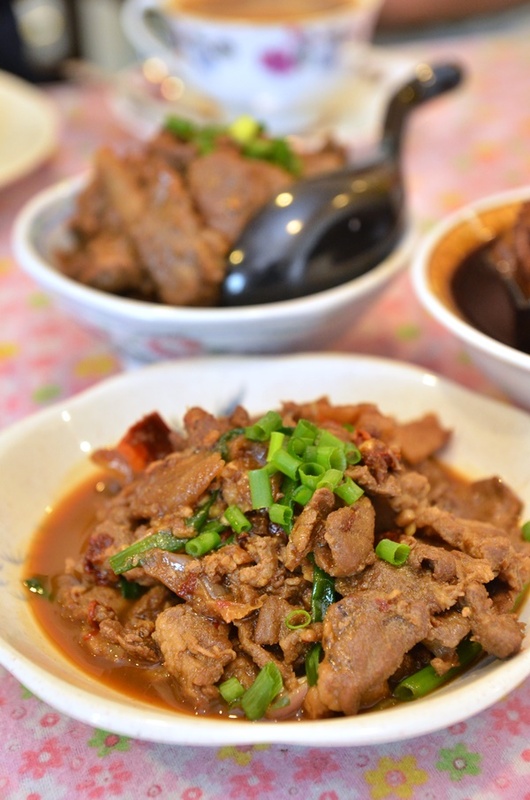 Occasionally you can find certain Hakka-inspired dishes being served here and there; usually at ‘dai chow’ places where the stewed yam with pork belly is more common than ever, or even by economy rice sellers incorporating ‘zhar yoke’ or vinegar pork trotters into their repertoire of crowd pleasers. And not forgetting the Hakka lui cha (thunder tea, or rather pounded tea) rice stalls all claiming to be from Jeram near Kampar; where the wet market still sells the BEST that I have eaten thus far. Certainly, locating these gems in Ipoh when the craving comes can be a toughie, especially when we don’t have the luxury of true blue Hakka restaurants unlike Klang Valley or even this one in Melaka. But now, amidst the slurry of new boutique cafes and what-nots, came O Café; a very misleading name and even more confusing façade and interior design. But … was the Hakka experience worth the adventure? Read on to find out more. Well, this could passes off as a nursery for the younglings learning to draw from the inspiring splash of colours, OR this could be one of those chic cafes hoping to make quick bucks from an over-imaginative painter and even more erratic mastermind. But no … the food O Café serves is a little too traditional for the hip, young urbanites. 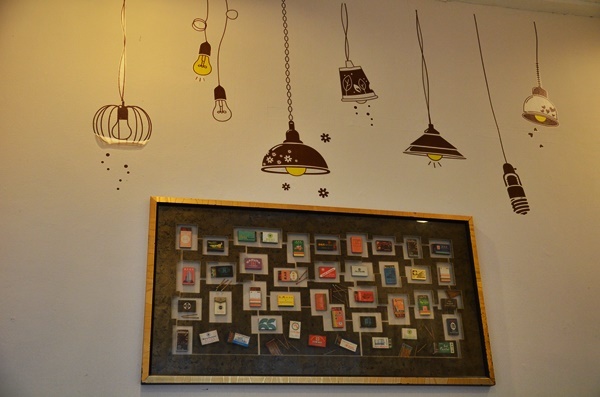 Noticeably, the proprietors aim to bring a dash of colourful vibes to the otherwise predictable setting of a boring Hakka cuisine establishment. This was a cool idea, nonetheless. 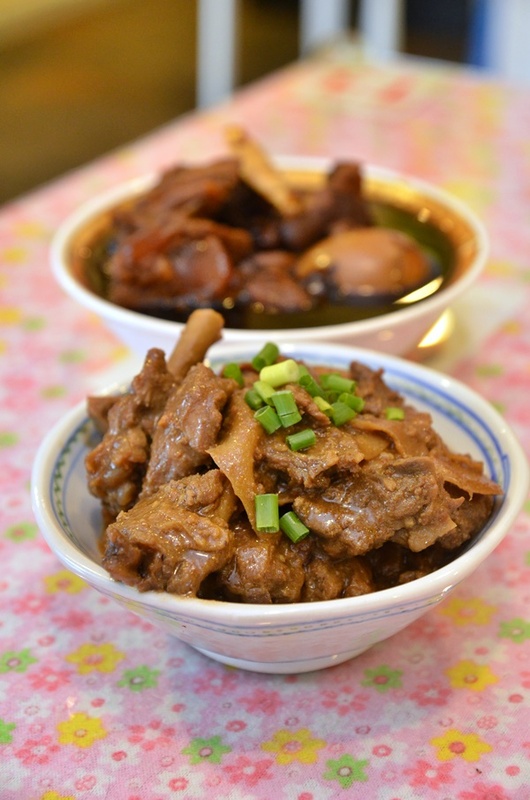 As authentic Hakka, Teochew or Hokkien cuisines have never been successful in converting the younger palates into fans unless you have a matured (read: old man’s) taste bud like Motormouth’s. Plum Sauce Ginger Duck (MYR12.90) – This took a bit of time to like, and in the end not by unanimous decision anyway. The abundance of boney parts and too much ginger killed the taste of the supposedly tarty, plum sauce coating the pieces of juicy duck meat. Good that the outlet’s fully air-conditioned, and parking can be a scary affair if you do not know where to look out for O Café. 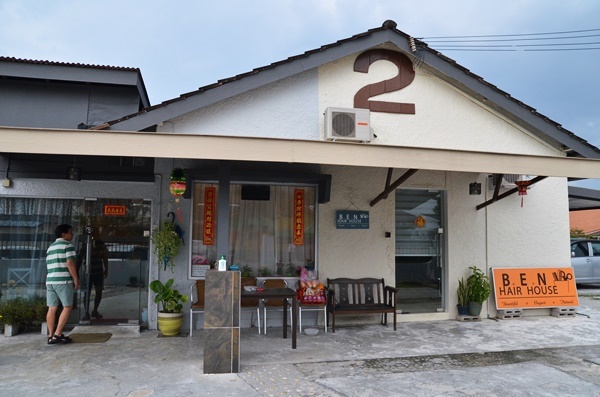 Since the external façade has barely a signboard to notify passerby that this was a restaurant or café, you will need to go slow and look out for a single storey bungalow with a big number “2” painted at the front of the main building. A more detailed picture and map will come at the end of the post. Immediately upon being seated, the unshakeable feeling of dining in someone’s home was present. 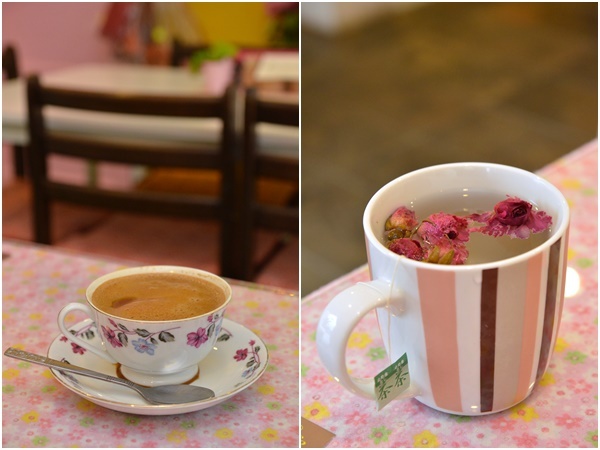 Okay, despite the retro floral prints on the table mat and pink and yellow hues all over the premise. The menu was a rather simplified but sufficient collection of Hakka dishes with a few modernized items thrown in for good measure. Well, just in case a 14 year old sweetie walked in expecting waffles and ice-cream and experience a jaw drop moment of seeing vinegar pork trotters and petai minced pork staring back! Vinegar Pork Trotters (MYR12.90) – Small serving but this was delicious enough to warrant another try. The hard-boiled egg was rather odd though, I have always preferred my “zhu geok chou” to be purely meat with a few slices of smashed ginger only. 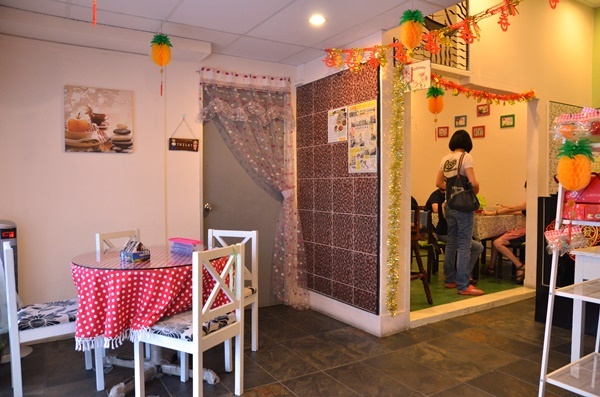 All of the meat dishes are served with steamed rice, while they do offer about 6 types of noodles as well; such as wine chicken mee suah, egg ginger mee suah, braised yee mee, fried lou shu fun, and crab meat crispy mee suah. The meat dishes are rather varied; ranging from crowd favourites like vinegar trotters and wine chicken to curry wild boar and turmeric chicken. We shared a few meat dishes and one greens, as well as one soup. 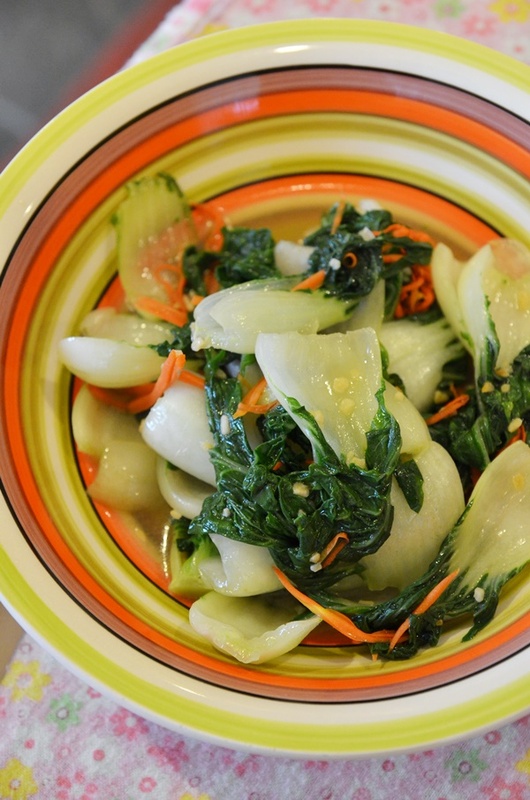 Stir Fried Milk Chinese Cabbage (Nai Bak) (MYR7.90) – Looks can be deceiving but the crunchy Nai Bak was cooked very well; the freshness retained and the restrained use of oil and minced garlic did not steal the spotlight. Egg & Ginger Soup (MYR9.90) – This should bring back memories of confinement period (no, not that I have ever been through one); the warming effect of generous chopped ginger embedded within the egg omelette was obvious; and we could be sweating profusely had it not been the air-conditioning! The highlights of the meal to me were definitely the vinegar trotters and milk Chinese cabbage, while the duck was disappointing and the egg and ginger soup was passable. The salted fish pork belly (scroll all the way up for the picture) was savoury and moreish as one would expect from such a potent (read: salty) combination, however this was not by far the most fantastic rendition that I have tasted in Ipoh. If you ask me which one tops this, I cannot recollect exactly which ‘dai chow’ place but pick the claypot version if you happen to stumble upon one. The sizzling hot effect infuses the meat and salted fish combo with a nice smoky finish. In summary, although there were some hits, but also some glaring misses, and some would comment on the slightly pricier fares compared to the general Chinese dishes, but do bear in mind that this is a more comfortable dining option, with a much higher overhead obviously. 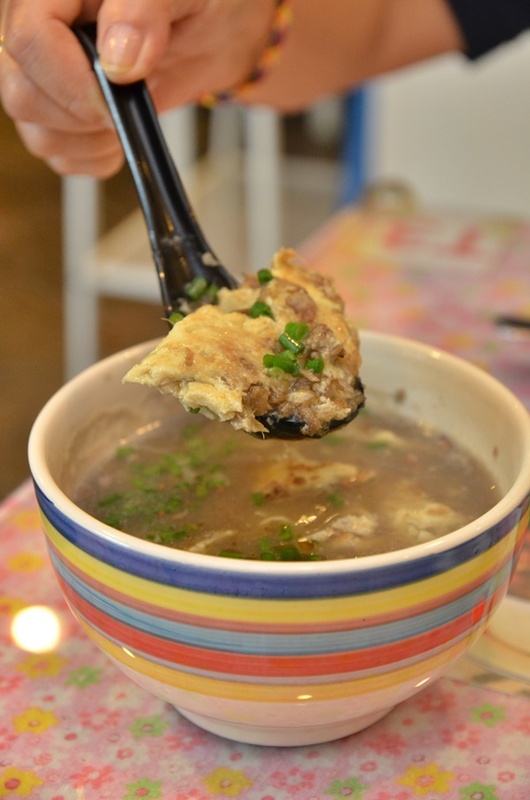 Come here if you miss grandma’s cooking or authentic Hakka fares that are slowly disappearing from the generic menus glorifying fusion fares and ultra-complicated flavours. Business Hours: 11.00 – 8.00 pm. This faces the junction of Jalan Foo Win Yin, off Jalan Canning Estate. This is along the road connecting Canning Garden roundabout and Ipoh Garden roundabout.